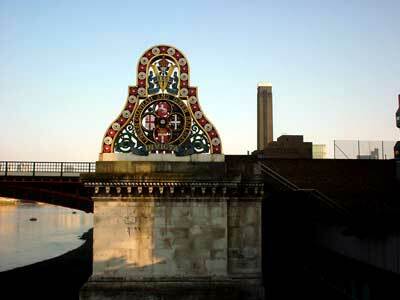 On one of the surviving piers of the 1864 Blackfriars Bridge can be seen the ornate company crest of the London Chatham and Dover Railway. The bridge was demolished in 1985. In the background can be seen the tower of the Tate Modern.